On a weathered background full of grunge this urban blackbird poses for a portrait. The inspiration for this artwork comes from the variety of birds that survive and thrive in industrial spaces. The painting is created in multiple layers for plenty of texture. To build the layers a combination of mixed media materials were used including paper, glue, acrylic paint, ink and charcoal. 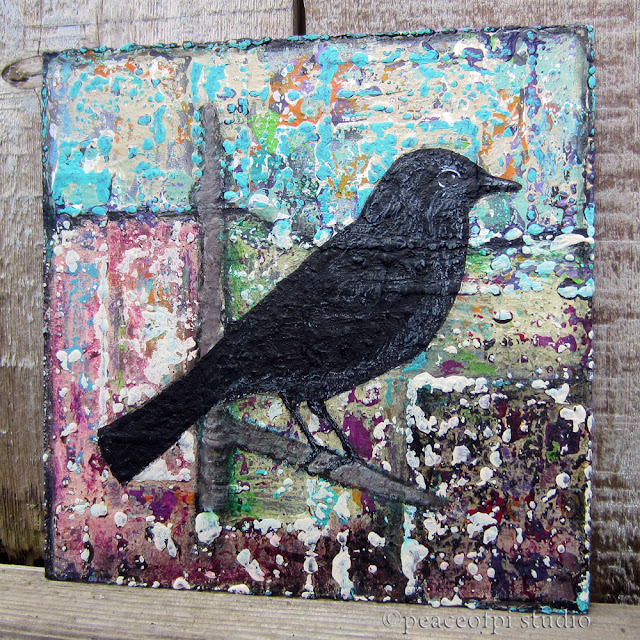 The blackbird and his surroundings are evidence of beauty in the midst of industrial realities.